Shiny, semi-reflective, metallic. 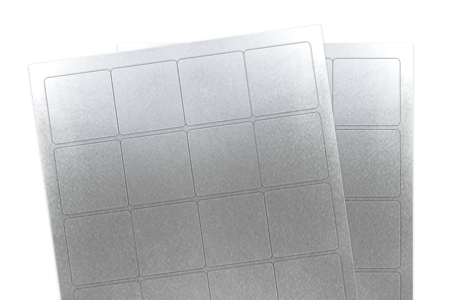 Silver foil labels have a high quality appearance and permanent adhesive. Use this material in crafting projects, or holiday and seasonal applications. We generally recommend that if printing, you only use black ink, however if you insist on using color, let’s run a test job first to check print quality.